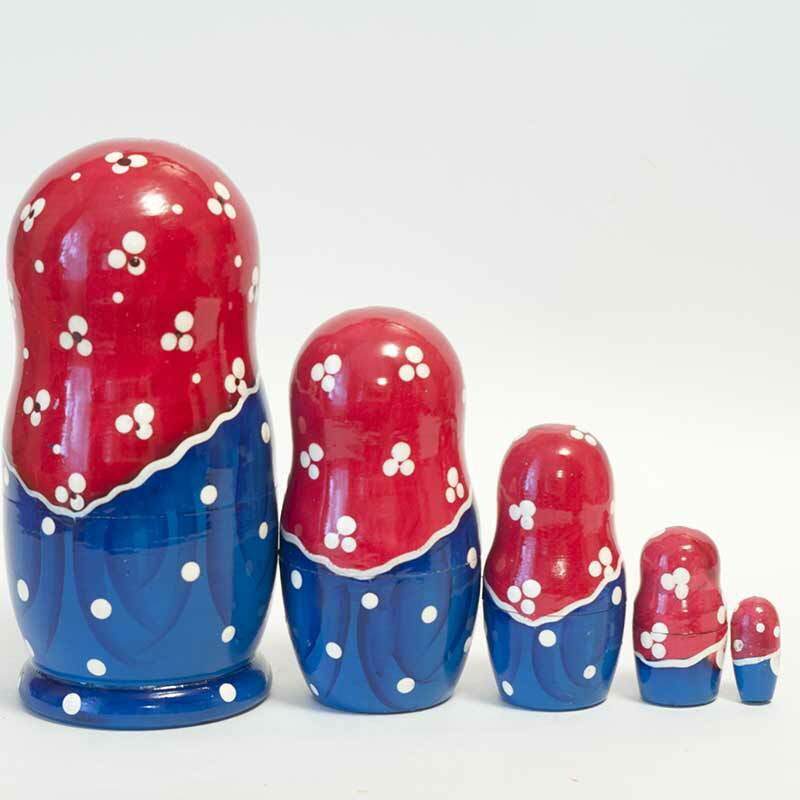 5 pieces set, size 15 cm/6"
Matryoshka Girl with Cat is a hand-painted nesting doll painted is in Sergiev Posad style. 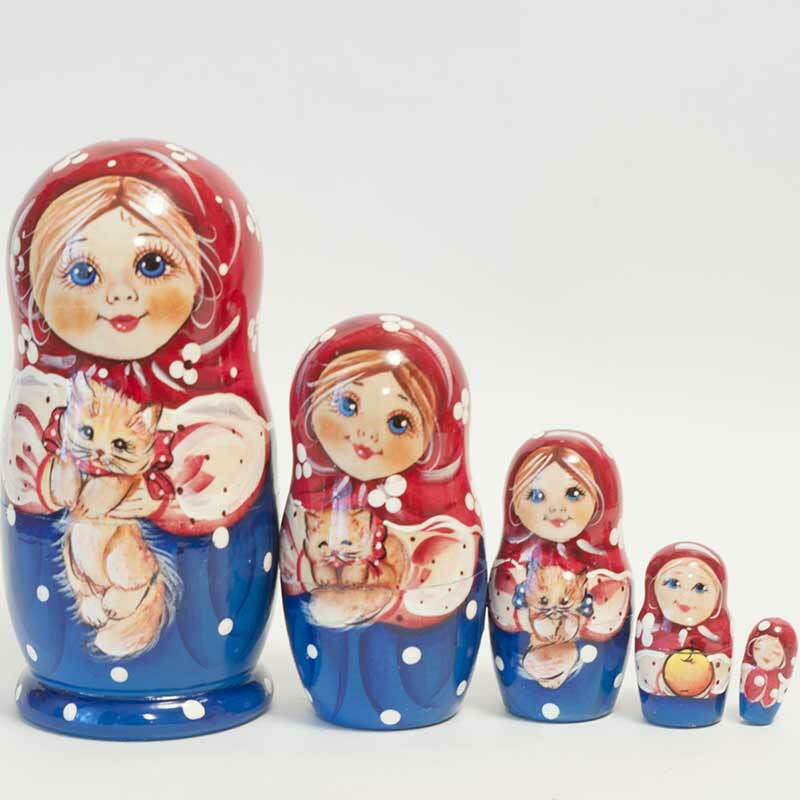 The nesting doll describes children with their pets. 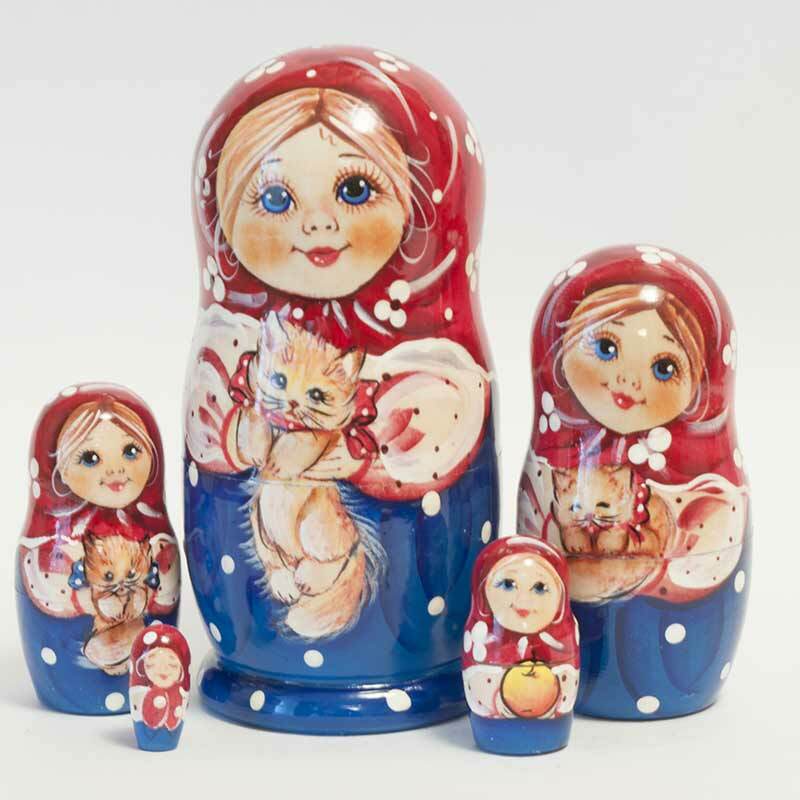 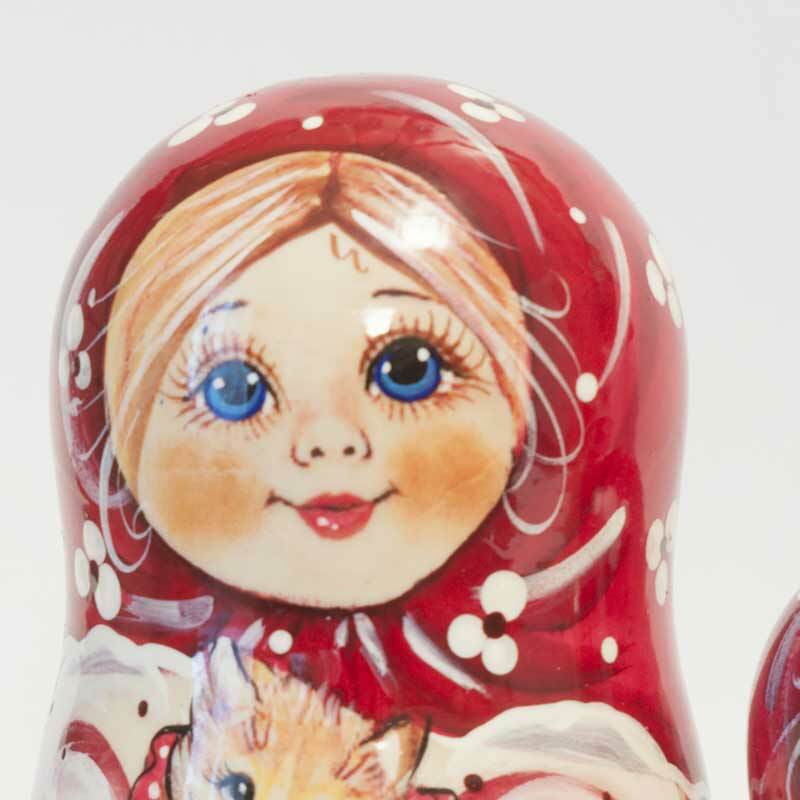 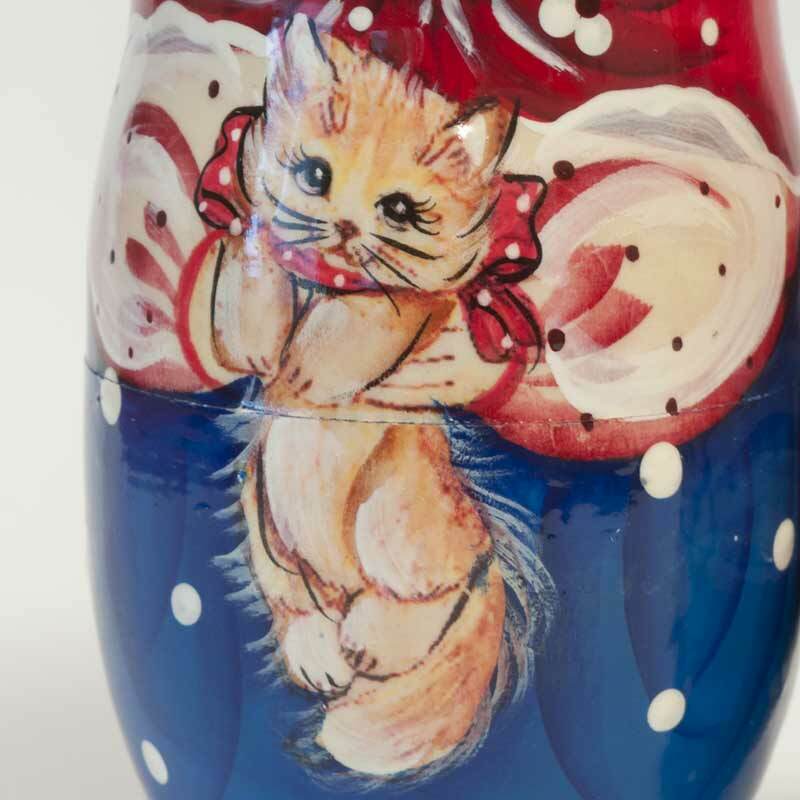 The matryoshka doll is painted with non-toxic paints, well decorated and finished with glosssy lacquer.